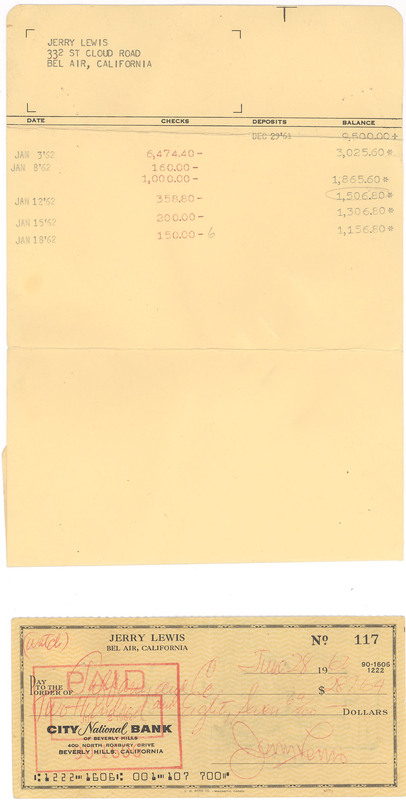 Handwritten and signed personal check by Lewis made out Tiffany and Co. for 287.64 on June 28, 1962. 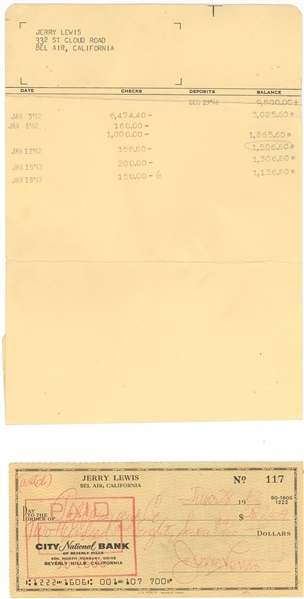 Also included is a December 29, 1961 showing deposits and Debits from his account. Jerry Lewis (March 16, 1926 – August 20, 2017) was an American comedian, actor, singer, director, producer, screenwriter and humanitarian. He was known widely for his slapstick humor in film, television, stage, radio and recording and was nicknamed the "King of Comedy".